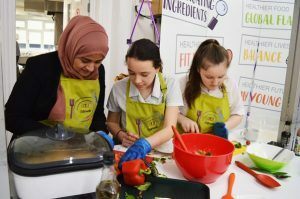 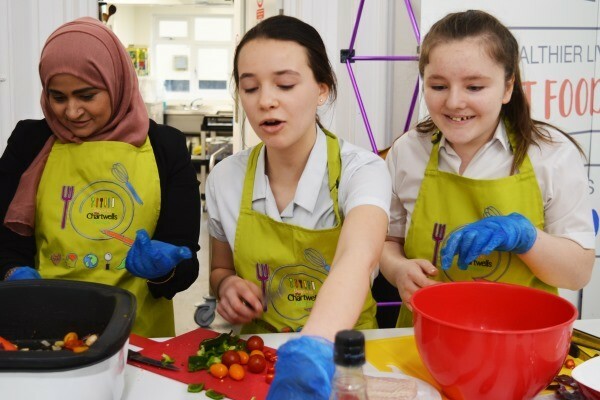 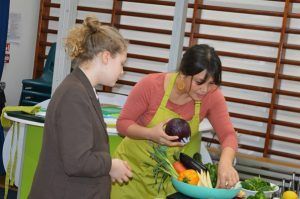 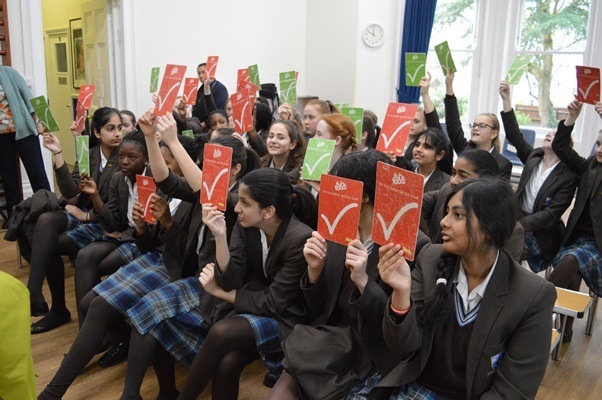 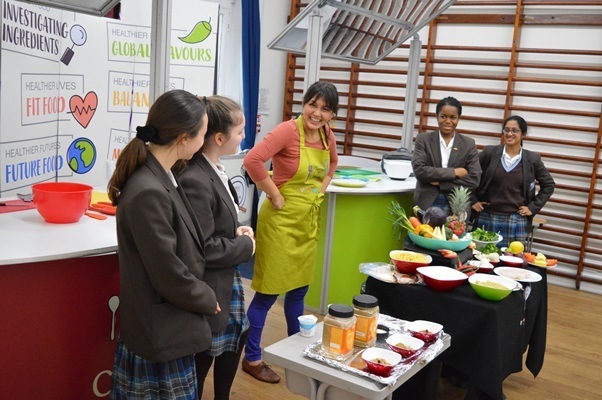 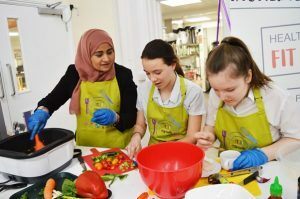 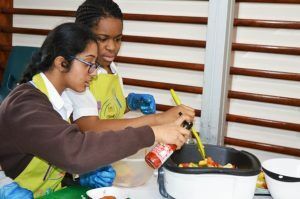 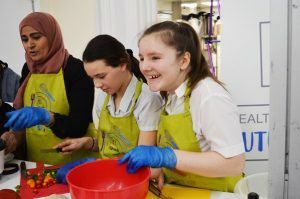 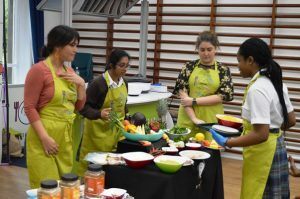 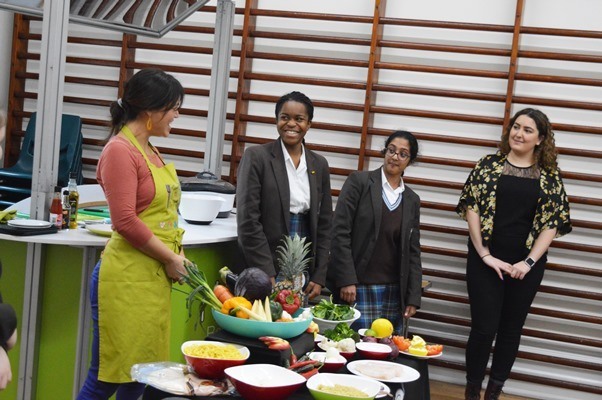 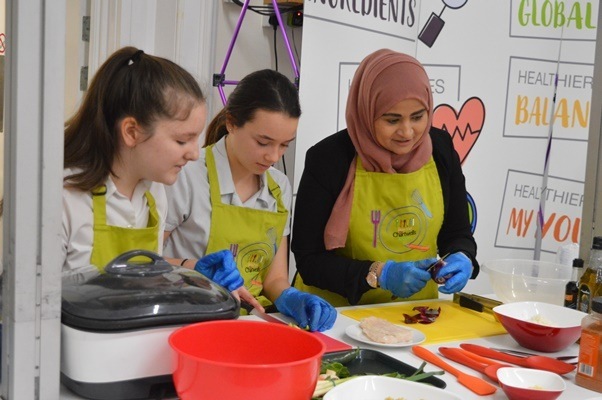 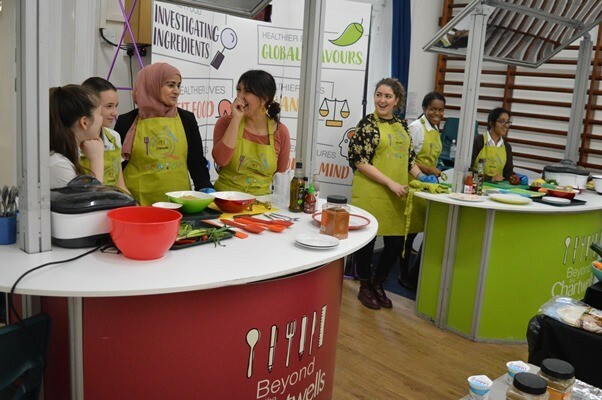 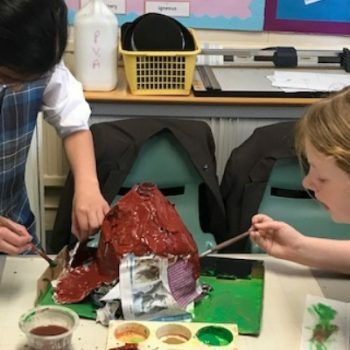 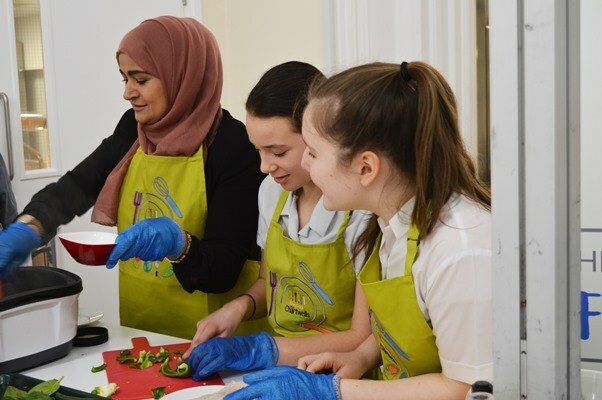 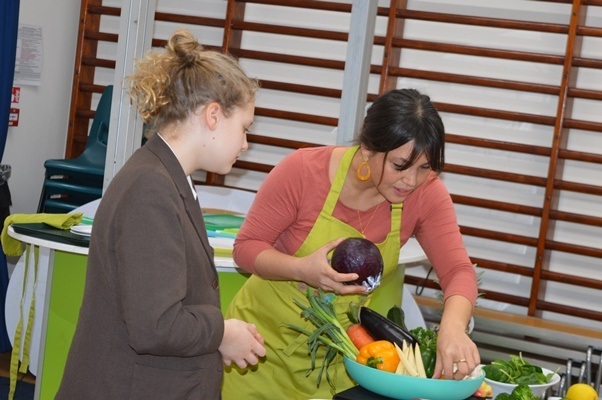 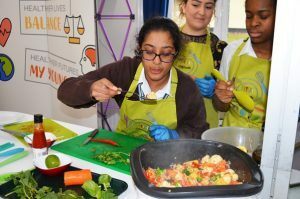 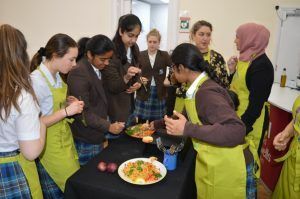 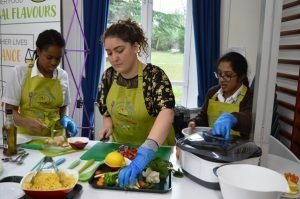 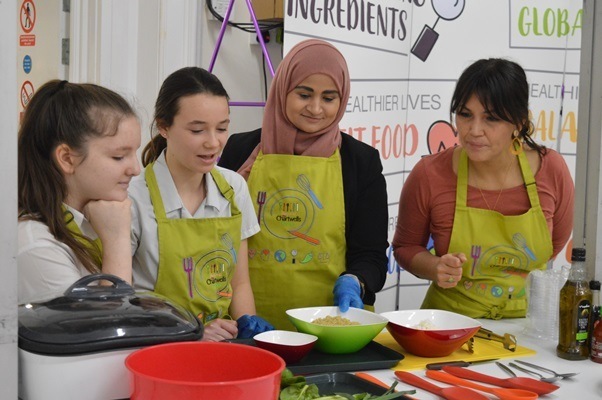 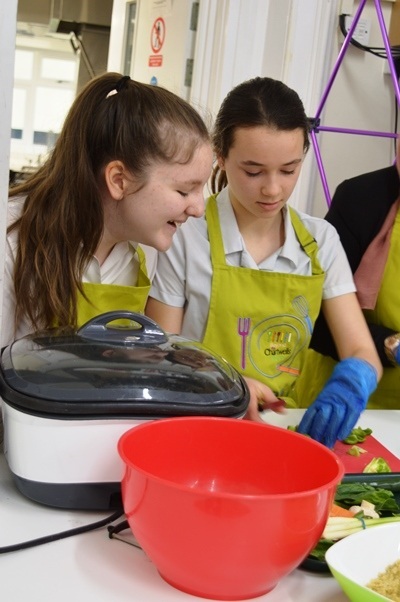 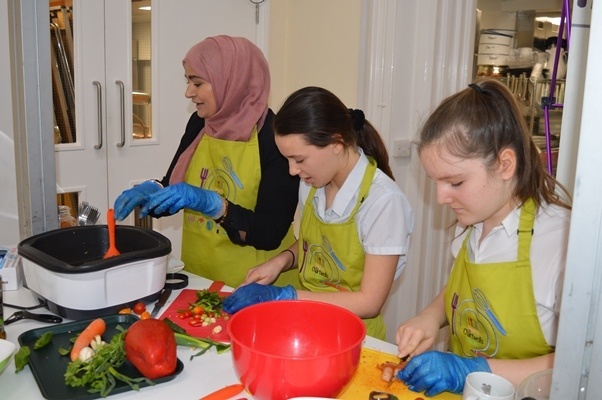 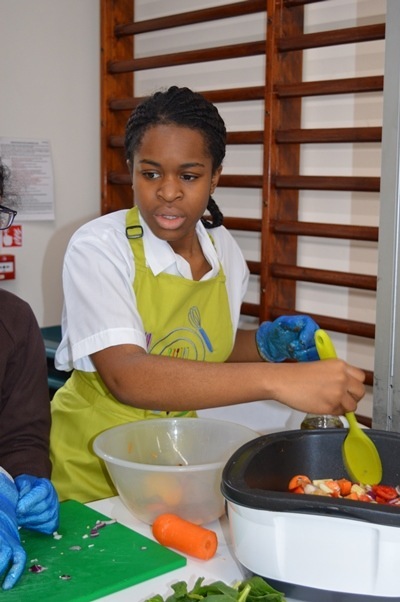 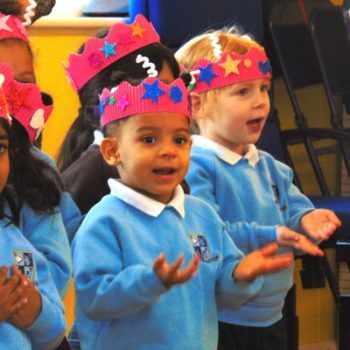 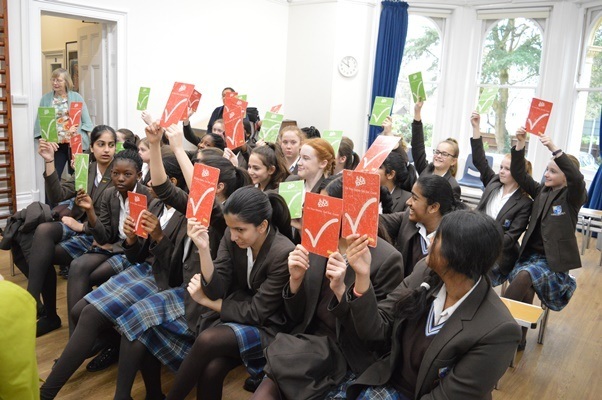 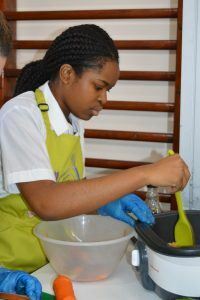 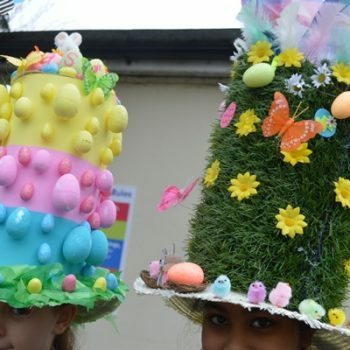 Braeside School > News > Events > Read, Steady, Cook! 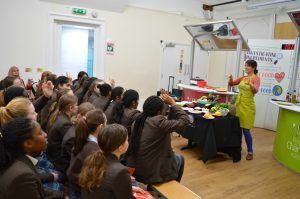 Chartwells (the company that provide all Oak-Tree pupils with their school meals) came into Braeside today for their annual roadshow called Ready, Set, Cook. 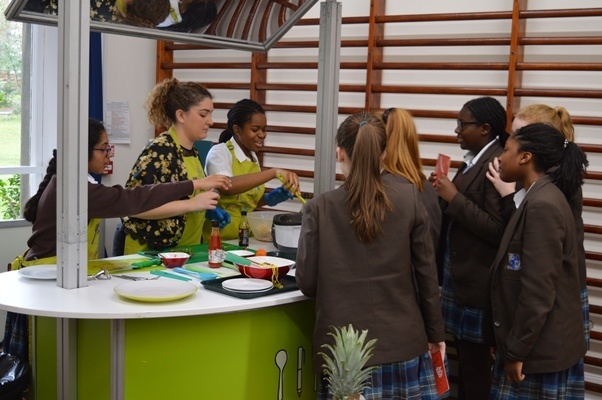 This is a cooking competition between the green team and the red team. 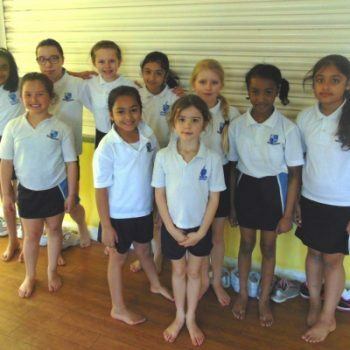 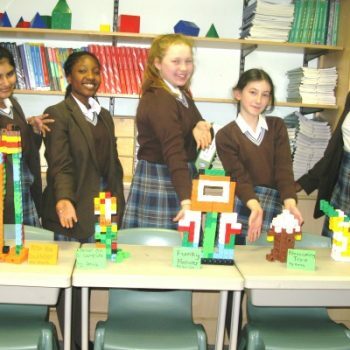 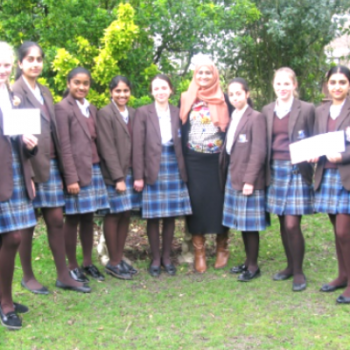 Riya, Zaneta and Miss Krist formed the green team and Mrs Alahi, Kiera and Nikki were the red team. 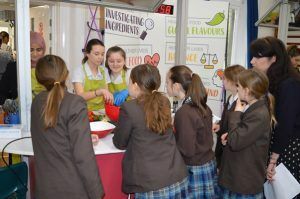 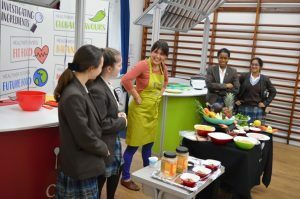 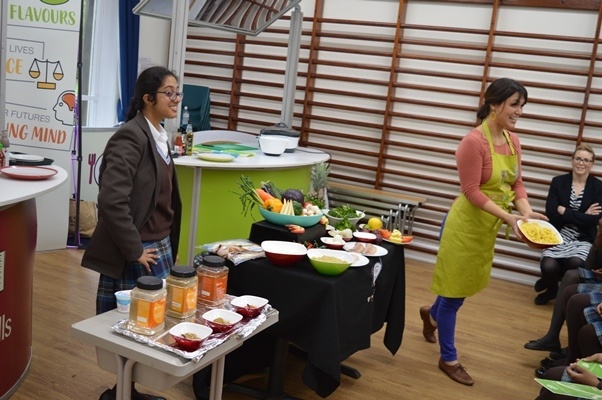 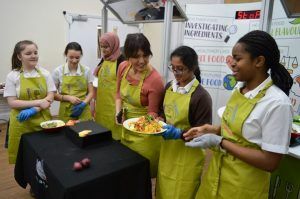 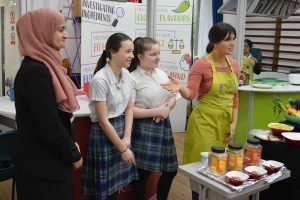 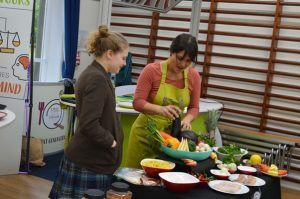 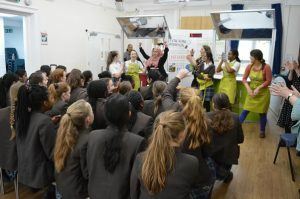 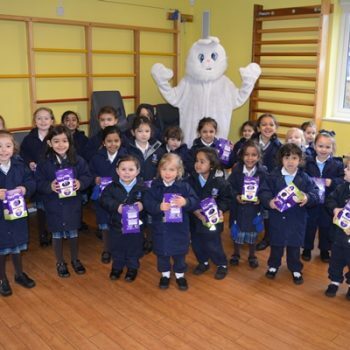 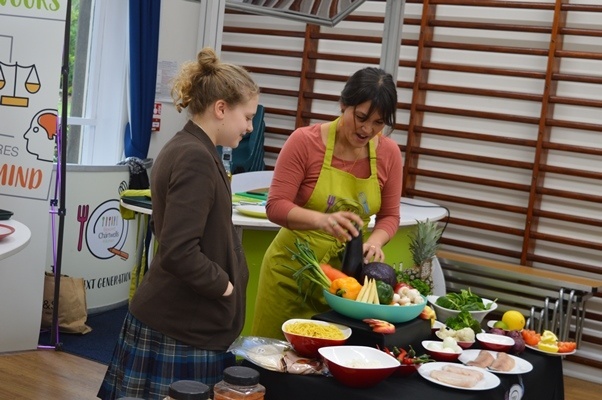 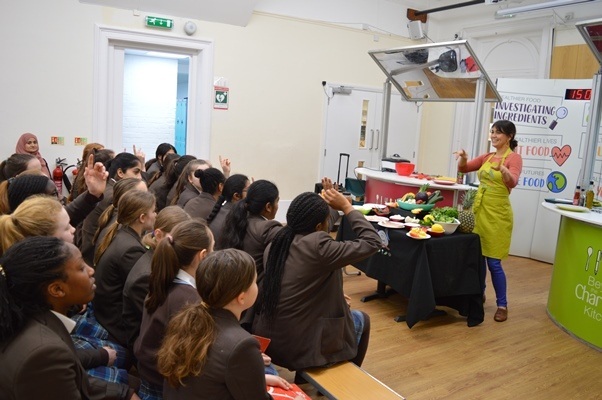 Faye from Chartwells hosted the event and talked pupils through the ingredients before the ‘cook-off’. 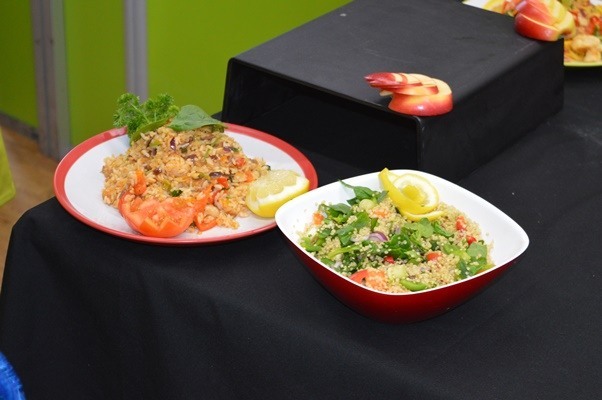 The teams (and audience) chose the food that was going to be cooked – there were all food groups to choose from. 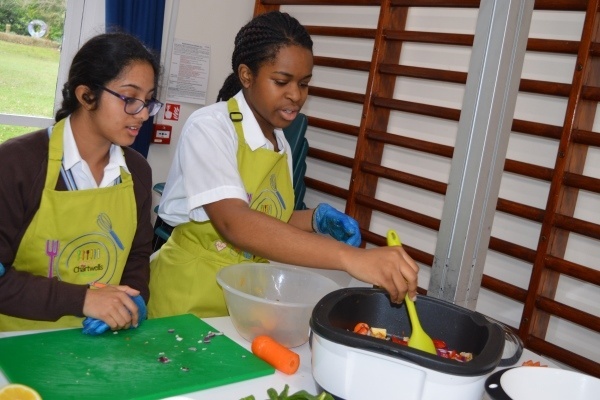 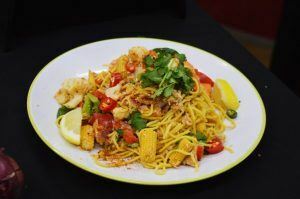 The red team cooked a tasty fish rice dish and the green team chose to stir fry fish, vegetables and noodles. There was a lot of encouragement and suggestion from the audience during the 15 minute cooking time. 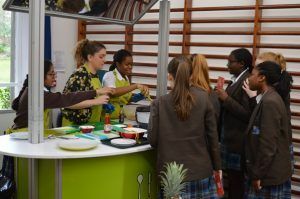 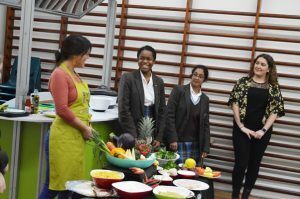 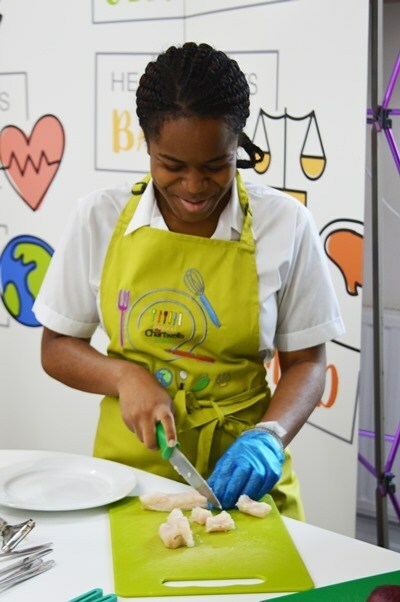 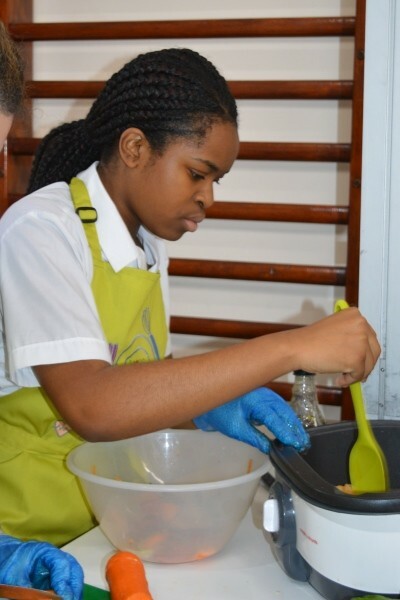 The teams then presented the food for tasting – all the pupils were keen to get stuck in to the dishes. The red team won the taste test overall and everyone had great fun taking part. 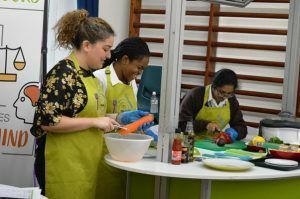 Thank you Chartwells for providing a fun food experience!